I have publicly admitted that history isn’t my strongest subject (see #1 on this list), and one of the reasons I push myself to travel is to learn more about the world and its past. Every once in a while while traveling though, I get a bit history-ed out and I completely fail to take in any facts at all about a certain place especially if the visit is brief. I learned a ton of stuff on our Ireland/Scotland trip, but gave a complete miss to the history of Ross Castle pictured below. 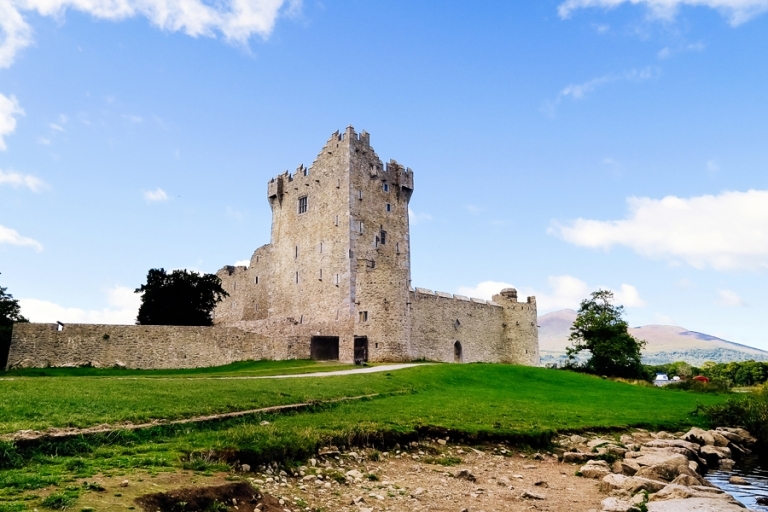 I knew it wasn’t far from the B&B where we stayed in Killarney so I at least made a point to pop by and take a photo, but as I’m writing this post, I can’t tell you a thing about this particular castle. We didn’t tour it, and I didn’t read about it so I’m going to go Google it now.